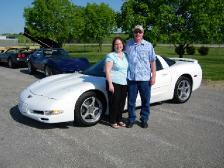 Robert & Rosanne with their 2000 Chevy Corvette with only 8k Miles! I just wanted to say this has been the best overall car buying experience. Jim, Keith, and Mario stand behind their word unlike many of these other big car dealerships. 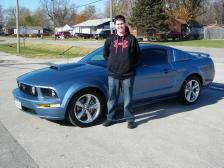 All of the inventory at brownmotorcars is a quality product that made me feel safe in purchasing my 2007 ford mustang. I will defiantly be a repeat customer with their dealership because of the time that all three of the guys spent with me. Not one of them pressured me into buying the car that day. I told them the set budget that i had and that it had to be in that price range. They exceeded all of my expectations and I would give them a 10 out of 10. I would like to give a big thank you out to Keith, Jim, and Mario. 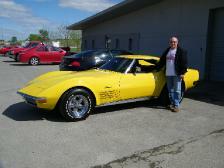 Great summer car! We really enjoyed dealing with Brown Motor Cars! 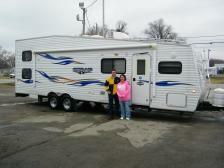 Mario made it a very pleasant experience and a super easy transaction! We love our vehicle! We will definitely tell our friends! Thanks Mario!!! 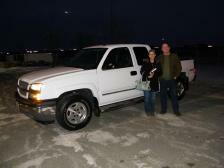 This our 2nd vehicle we have bought from BrownMotorCars and we couldn't be happier. If your looking for a dealer that makes buying a car easy, and stress free, BrownMotorCars is the place to go! I bought a 2007 Mustang GT with only 3000 miles on it, when we sat down to work numbers out and agree on a price, I wasn't able to make the deal right away with the money I had, so Mario said give him sometime to try and work some things out. 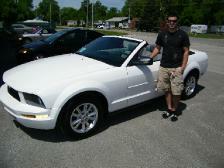 Alright well sure enough Mario worked pretty hard to get me into this car and made buying the car pretty simple! Not only did they get me into the car I wanted but they also built a friendship, they are not there harassing you to buy this car or to get a cosigner, they are there to work with you and help in anyway they can! Poor Mario was the one getting harassed by me! Overall I'm very satisfied with my purchase I couldn't have got into a better car at my age anywhere! I recommend BrownMotorCars to anyone ready to buy a car and make some new friends in the process! Thanks again!! Hi Jim, Got home yesterday afternoon sunburned and sore. The bike is running like a million bucks and is so comfortable.We’’d just like to thank you, Mario, and Keith for all of the help. It was a great experience dealing with you folks. 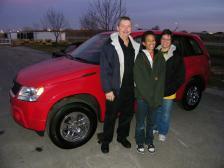 Thank you for finding us such a beautiful, almost new, 2011 Chevy Equinox! It is clean and doesn’’t have a scratch on it! 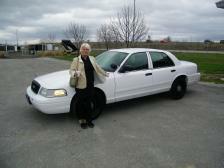 We think it will be a great car for us and the gas mileage was very good on our drive home. The radio sounds wonderful and I was so happy that it is big enough to put a bike in the back end, with the seats folded down. We really appreciated your quick service in finding the car. 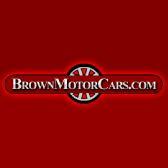 We would recommend BrownMotorCars to anyone who is looking for a great car at a great price! We will be back whenever we are "car shopping" in the future! Thanks again! 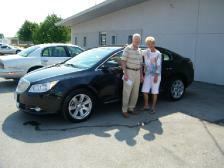 We just wanted to thank you for the great experience we had buying the Traverse. You answered all of our questions about the car and were very honest with us. You made everything easy and hassle-free. We love the new car and the kids love it too! I have already referred you to a friend of mine and I am sure we will be back the next time we are interested in buying car. Thanks again! 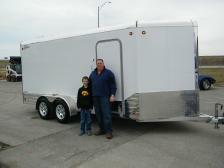 Kieth and Jim I recently purchased a pre-owned enclosed trailer from Kieth. My experience was great! 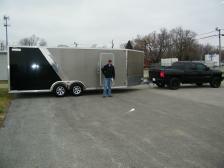 Fast and Friendly service from start to finish. A great local business, I will refer all my friends to Brown Motor cars! I appreciate all the work Mario and the staff did in a very timely manner to help me purchase a vehicle, they got all financing done and everything within same day I filled out application. Thank you Mario and the staff, I will be back when time to purchase another vehicle. Buying my Lexus RX 330 was the biggest and best purchase I’’ve made in my life to date. As a first time car buyer, I wasn’’t sure what to expect and was somewhat scared to take the plunge! It was a great experience working with Jim and Mario. 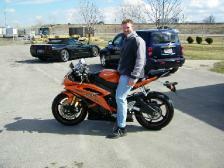 It felt like dealing with old friends versus the slick salesmen I met with at other dealerships, and I didn’’t feel pressured to make a quick decision. When I was ready to purchase my Lexus, it was a quick, seamless process and I still haven’’t gotten the smile off my face. I am definitely recommending Brown Motor Cars to my friends and family who are in search of a vehicle in the future! Thank you! I want to take this opportunity to thank Keith Overton and the owners and staff at Brown Motorcars for a pleasurable car buying experience. My wife and I were looking for a sporty car at a reasonable price. We looked at a wide variety of cars over a wide geographic area and found our Honda S2000 right here in town!The car was in showroom condition, had low-low miles,and was reasonably priced…just what we were looking for.Working with Keith was easy and stress-free. 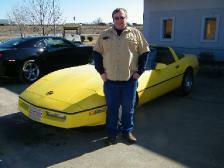 He made us feel comfortable, answered all our questions, and even helped us line-up the car for our mechanic to evaluate.I would recommend Brown Motorcars to anyone looking for that special car…a solid older model with low miles or rare vehicles that are hard to find. I know I will stop by from time-to-time just to see what new vehicles they have in their showroom. Thanks again…we love our Honda S2000! 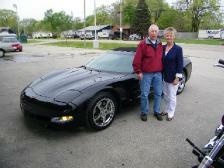 Amy and I wanted to take a moment to thank Brown Motor Cars and especially Keith Overton for putting us in our 2002 Corvette. 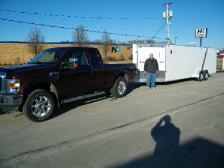 We are thrilled with our car and appreciate the help we got from you in this process. Your business will be wholeheartedly recommended to our friends and certainly will be coming back when looking for another car in the future. 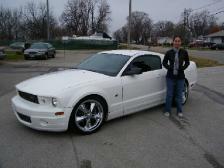 Your knowledge of the car and your professionalism made this an enjoyable and rewarding process. I just wanted to say thanks again to everyone there. 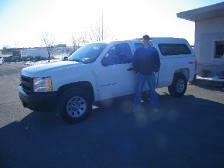 I haven’’t felt so comfortable buying a vehicle in a very long time. The Colorado is doing great! Anyone who is considering buying a vehicle should make Brown Motor Cars their first and last stop. The selection is great and the cars are all clean units. I have bought a lot of vehicles over the years and have never been so impressed. 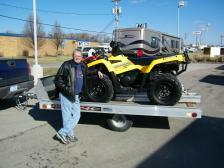 And when i told Keith what I was looking for, and they didn’’t have it, they found the perfect vehicle for me! I trust them implicitly and value what they have to say. I will be back to buy another vehicle from them. as far as I am concerned, there is only one place to buy a used car and it is Brown Motor Cars! And I will put my name and reputation on it! 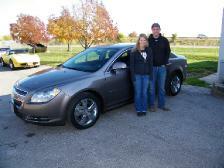 I want to thank Brown Motor Cars for making my purchase of a Pontiac G6 for my daughter so easy. The information and pictures they had on the internet portrayed the car perfectly. I called and asked some questions over the phone before making the trip to look at it and Mario was able to answer all the questions and made me feel comfortable that even though the car had high miles it was a well maintained car, which was evident once I looked at it. I drove and hour to look at the car and an hour later I was on my way back home with it. 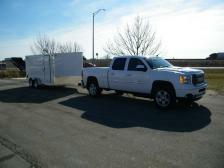 They were very efficient in dealing with me on the price and in handling all the paperwork. So far my daughter and I are very happy with the vehicle and very happy with the ease of doing business with Brown Motor Cars. We received an added bonus in the mail today - cookies, which by the way are as good as the Brown Motor Cars sales team. I would recommend doing business with this family owned business any time. I want to express my many thanks to Micheal for working out a very fair trade and executing a quick transaction.Thanks again to Jim for hauling my Viper all the way to Houston, Texas. You all are wonderful and it was a pleasure dealing with a Dealership that is honest about a vehicles representation. I will send a picture soon. Thanks again. 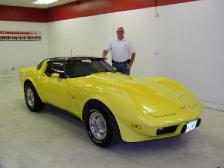 Over the years we have bought, or traded, for more than 15 vehicles. 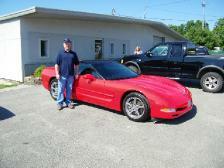 The last one was a Corvette just recently traded with Brown Motor Cars in Des Moines. We can easily say that working with Jim, Mario, and Keith was the easiest, most professional, and one of the most pleasant experiences that we’’ve ever had. They knew what they were talking about, gave honest answers,and truthfully represented their cars. They kept their word from the beginning until the deal was closed. 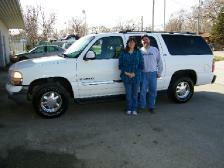 We traded for a a vehicle that we had had very little experience with until we went to Jim and Mario. They told us all the pros and cons of the ones they had for sale, and we really appreciated their honesty. This dealership treated us with great respect, didn’’t try to direct us to just one they wanted to sell, nor were they pushy with us. If Jim and Mario weren’’t available, Keith was there to help us. This won’’t be the last time that we will be dealing with them. Hi, this is just a testimonial you can add if you’’d like. 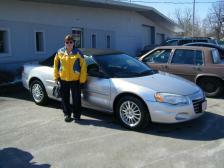 Sorry I lost Mario’’s email address..... Ben and I love our new Impala. 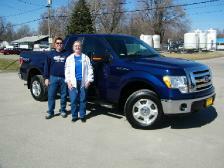 The family business atmosphere made us feel more comfortable and less stressed about purchasing a vehicle. 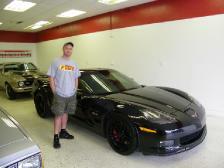 We’’ll definitely be back to see Mario and everyone at Brown Motor Cars when we’’re ready for our next purchase! Thanks to all of you! 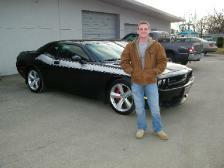 Thank you for the truly professional service provided to me from Mr. Brown and Staff at Brown Motor Cars. 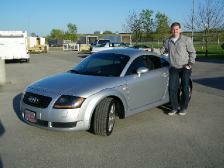 I was very reluctant buying a vehicle over the internet. Brown Motor Cars made it easy. 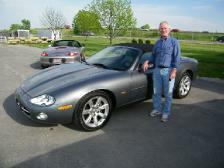 Your service surpassed all my expatations -The personal attention to details where remarkable - Mario Brown personally delevered my new 2006 GEM Car to my front door, over 1400 miles, the delivery was timely and the car was just as stated in their ad. Thank you Brown Motor Cars for a delightful experience. Hey Keith, I wanted to let you know that the TL is treating me great! No one likes shopping and dickering on a used car but my experience with you at Brown Motors Cars was by far the best one to date. You’’re honesty and frankness were much appreciated! I wish you the best in the future and will definitely be referring you to others as I know you will treat them right. I wanted to take a moment to thank Brown Motor Cars and especially Keith Overton. Your professionalism made this process go so smooth. You took the time to work with us on the price and made sure the car was extra clean when we picked it up. I’’m enjoying my BMW so much!! Doing business with Brown Motor Cars has been a great experience. I will make sure let everyone know about you guys!! 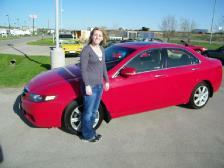 My wife and I purchased a 2007 Honda Accord from Brown Motor Cars a little over a year ago. After searching the Iowa market for an Accord, I only found a few that met my requirements in the entire state. I looked at two Accords, one at a well-known Des Moines dealership and the one I ultimately purchased from Brown Motor Cars.  The reason I purchased from Brown Motor Cars is simple; they were honest and they did not play the games that I ran into with the other dealer. After having my Honda Accord for a year, I have had no problems with the car and I can look back and recommend Brown Motor Cars to my friends and family. Thank you to the team at Brown Motor Cars for a good experience. My wife and I want to say how much we appreciated all the effort and hard work your organization (Jim, Keith, and Mario) went to in helping us make a decision on purchasing a new vehicle with your organization. It was a breath of fresh air to work with such honest and open people who kept their word throughout the transaction. I would highly recommend your organization to anyone I know looking to purchase a new vehicle. 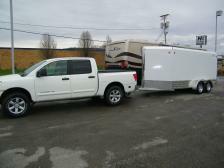 You were very easy to work with and we never felt pressured into making the purchase. 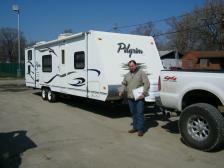 The whole process went very smoothly and made us feel very comfortable with our final decision. 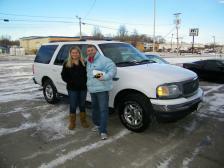 Again, we really appreciated your help and definitely would buy another vehicle from Brown Motor Cars. 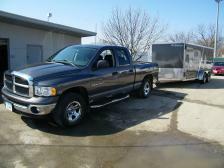 In 3 years i have purchased two trucks and a motorcycle from Keith, Jim and Mario. I continue to do business with them because time and time again because i am treated as if I am family. I consider them very good friends and will continue to buy from them as long as they are around. If you read all of the testimonials on here, you can see its obvious that the level of professionalism is far above the mark. Their vehicles are nothing but the best that the car market has to offer. All budgets and tastes included. You have nothing to loose. No high pressure, no gimmicks. Just some real, honest guys trying to help you find a great car at a fair price. Thanks to Keith for the very down to earth and resonable avoiding the typical high pressure tatic. He was honest about all questions and I enjoyed dealing with him. Thanks Keith. Keith and Jim, Thanks guys, you made my wife very happy, and when "mama’’s" happy, I’’m happy. 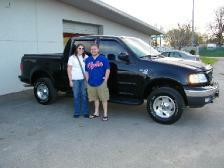 We purchased a great looking "03 Durango. 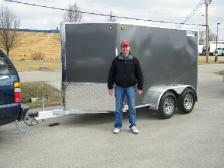 Excellent hassle free service, the total experience was painless and I left feeling confident with the purchase. I will recommend you to my friends and family. 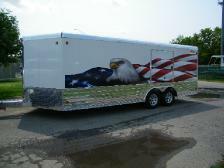 Your vehicles are presented well and ours looks like new. 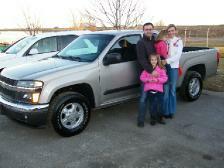 Thanks for the cookies :-) Thank you for assisting us in the purchase of our 2008 Chevy Silverado. You were very helpful and easy to deal with. I would definitely consider purchasing other vehicles from you in the future and will refer your dealership to friends and family. 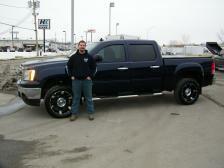 Keith gave me a great deal on a great truck. He worked with me to come to terms that worked well for both of us and was great to deal with. 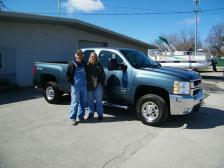 There was no pressure to buy and Keith let me take all the time I needed to come to a decision. 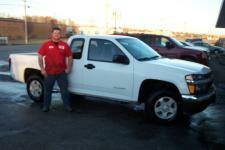 I’’m very happy with my experience at Brown Motor Cars. Thanks Keith, I’’ll see you later today. 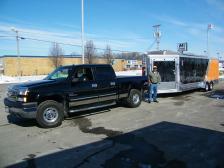 When I first heard of Brownmotorcars, and how others have explained "their way of doing business" I was skeptical. However given my inquisitive personality, I had to find out for myself. I called Jim several years ago, and explained to him what I was looking for, and the price range I needed him to be in. I gave him color preferences,year and milage limitations. 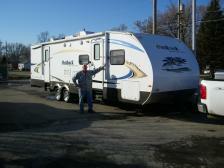 I was impressed, within two weeks Jim called me and said he believes he had the vehicle we were looking for and would we like to come and see it? Before we even got to his shop, my wife spotted it from the stoplight and said "I’’ll bet thats it". Before our test drive Jim showed us the features of the vehicle, and then made a disclosure you would not expect from a dealer. He said "you are not obligated to purchase this if it is not what you are looking for. I thought he was kidding, given the specs we gave him for the vehicle we were looking for was what he found. 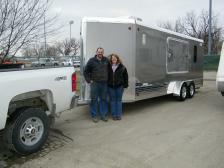 We recently purchased our second vehicle from Brown Motorcars. Jim did not dissapoint. 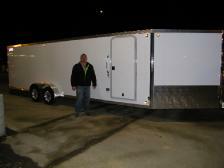 He found us another great unit, and as stated above, all within the specs we requested. If your in the market for a vehicle, give Brown Motorcars a call. This not your ordinary dealership. You wont be intimidated, hassled, or turned over to a sales manager so you can feel like your being ganged up on. Thanks again Jim. 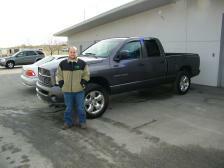 THANKS FOR THE PROFESSIONAL SERVICE WHEN I BOUGHT MY 2008 DODGE TRUCK. WE THANK YOU. 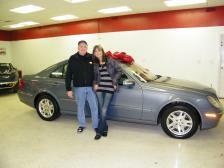 Thanks so much to Brown Motor Cars for providing us with a plesant car buying experience. Keith and Jim went out of their way to help me in any way needed. 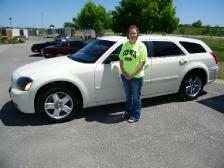 I am very pleased with my choice and the whole experience I had with Brown Motor Cars. We will definitely recommend Brown Motor Cars in the future. Thanks again! Keith, Just wanted to express my deepest gratitude for your help last week. 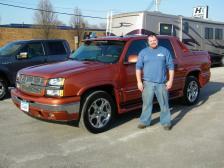 The testimonials are 100% correct in that BrownMotorcars.com is committed 100% to customer satisfaction. My "new to me" Saab is beautiful and the entire process was comfortable and without pressure. From start to finish I felt that I was a valued customer and would highly recommend your company to anyone looking for a quality vehicle from a quality company. I just wished it wasn’’t snowing when I picked up my convertible! Thanks again for your awesome work on my behalf! 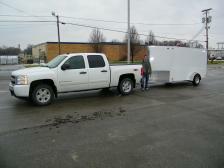 Just wanted to thank Keith for all the help and hard work! 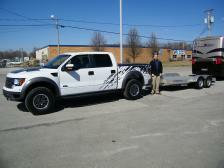 The trucks is AMAZING!! 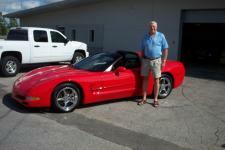 A big thanks to Keith and everyone at Brown Motor Cars for helping me with purchasing my new vehicle. I purchased a Nissan Xterra and have been very pleased with it. Keith made the experience hassle free and answered so many questions and indulged us in looking at the classic cars too. 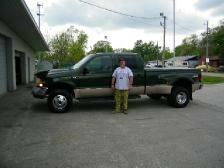 I will be looking here first if I am ever in the market for another vehicle.Thanks again! THANKS FOR EVERYTHING!! I will make sure I let everyone know about you guys!! My fiance and I were nervous on purchasing a new SUV cause most sales departments like to mess around but you guys like to get down to business. I HOPE YOU GUYS ALL THE LUCK WITH YOUR BUSINESS AND WE WILL BE BACK! 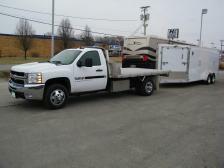 We had a great experience in purchasing our pontoon boat from BrownMotorcars. 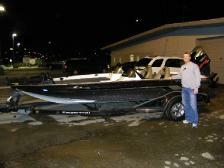 The sales staff was kind, not pushy,and we would recommend anyone looking for a car or boat to check them out!! Doing business with Brown Motor Cars has been a great experience.Special thanks to Keith Overton for his efforts in making the buying process simple and hassle-free! He’’s a great guy to work with and was very helpful every step of the way. The specialty/classic vehicles they had on the lot were what initially drew me to Brown Motor Cars, but the fantastic staff sealed the deal. Thanks again! The guys at Brown Motor Cars were great. They were able to answer all of our questions and help us get financing. 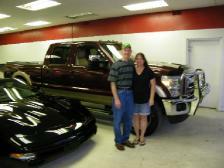 Like most car lots that we visited they did not seem put out that we needed to get financing. 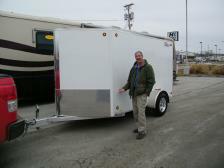 Bob is really picky and he found just what he wanted at Brown Motors. We will always go to Brown Motor Cars first when we need another vehicle. 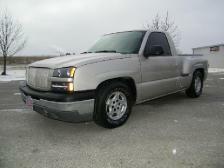 (a truck in the near future). 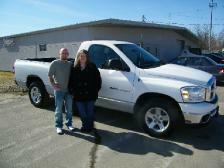 Just want to say thank you for making our vehicle purchase painless. I received the most wonderful surprise today! It was totally not expected but great to receive those cookies. In light of the fact that I’m feeding me right at the moment they came in pretty handy. Keith is a great guy and I appreciate your service and the great deal I got. You ever need a recommendation you will get it from me. 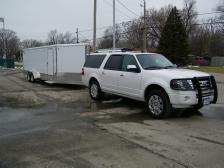 Just wanted to say thanks to Keith for his job well done on getting the Expedition ready on time and for making it easy to purchase. A good clean vehicle, not to mention good hospitality. Thanks again! I just wanted to take a moment to thank you for your outstanding service! 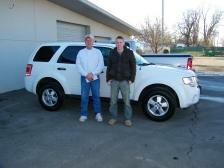 You and your whole team have been nothing but helpful throughout the process of my car purchase. You truly take care of your customers and take service to a whole new level. You have gained a loyal customer for life. I carry your business cards with me and hand them out anytime someone makes a comment on my car just because I want everyone to have the same experience I had. You made me feel comfortable and gave me all the information I needed to know to make a wise decision on my purchase, and I could not be happier with that! Thank you again for everything you have done and I look forward to doing business with you again!